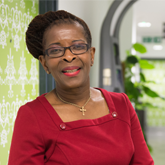 2016 is a special year for the Royal College of Nursing, says RCN President Cecilia Anim. One hundred years ago, a small group of very determined people founded what would one day become the largest professional nursing union in the world – the Royal College of Nursing. In the days before women had the vote, they managed to lobby Parliament and secure professional registration for nurses. It’s a remarkable story and one I can’t wait to share with you in 2016. • Nominate a book that has shaped your nursing life in 100 page turners. Since becoming your President a year ago, I have met thousands of members, and I am always stuck by the level of skill and dedication I see. I’m so proud to be able to represent you and champion everything that is great about nursing. To be able to do this in our centenary year is even more special.